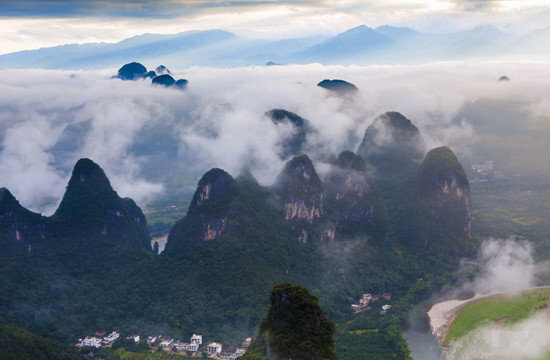 A major tributary of Li River, the Yulong River (遇龙河) flows through some of the most beautiful Karst (limestone) scenery near Yangshuo. Local people use rafts as daily transportation up and down the river between house, markets, and rice paddies. 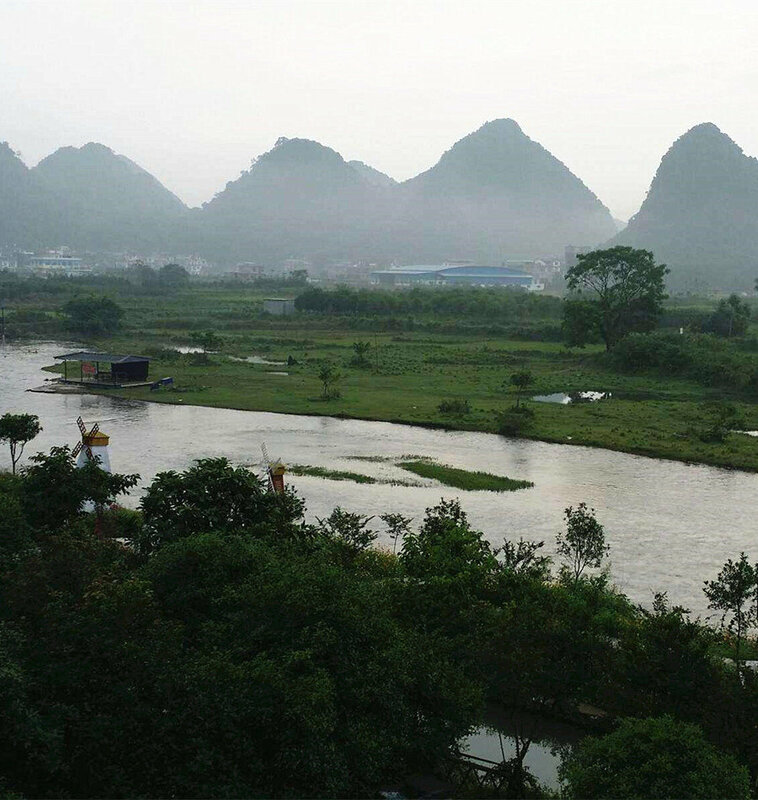 Some villagers made bigger rafts and started to woo the travelers and soon it became a highlight of tour around Yangshuo. Sitting on the reclining chair on the raft, you can enjoy an all around view of the natural, rural life down the river. 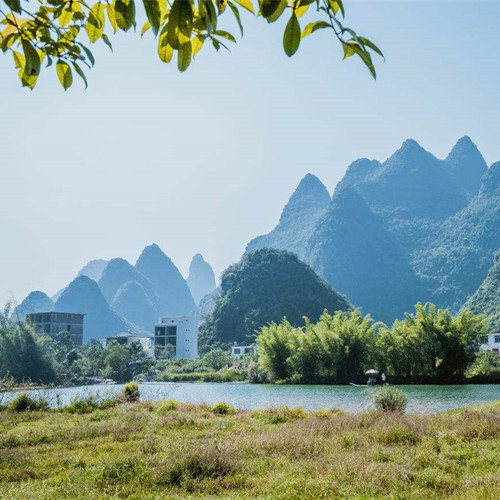 Yulong River rafting is a must-experience activity when paying a visit to Yangshuo. Taking a bamboo raft to drift gives you a special experience of drifting and a more exciting experience than before. The experienced boatman takes you into the wonderful green world-green hills and clear water. 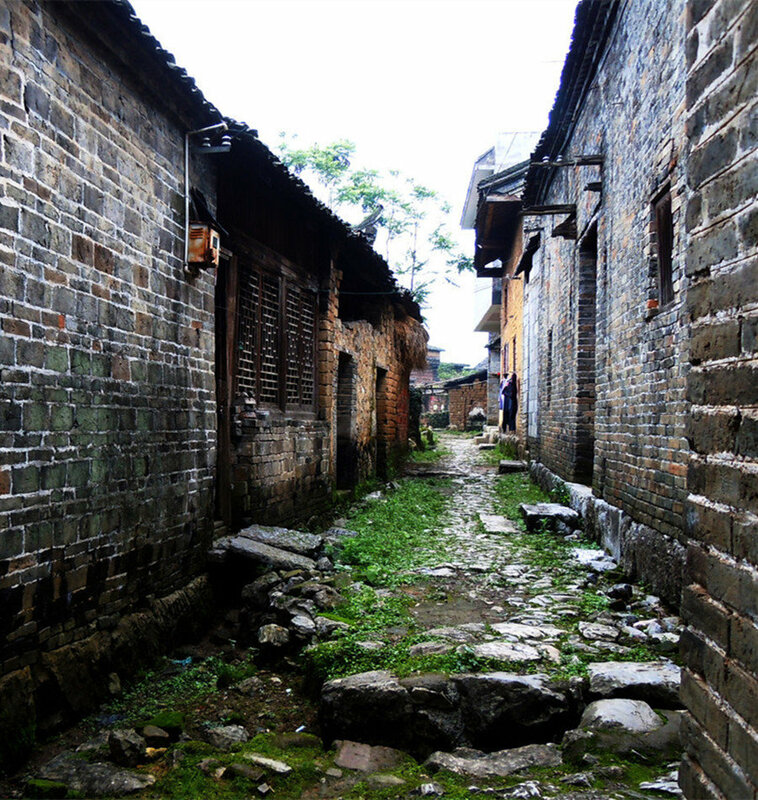 During the drifting, you can not only enjoy the natural scenery, but also get acquainted with the daily life of the locals and some ancient buildings, such as Fuli Bridge built in Ming Dynasty, etc. 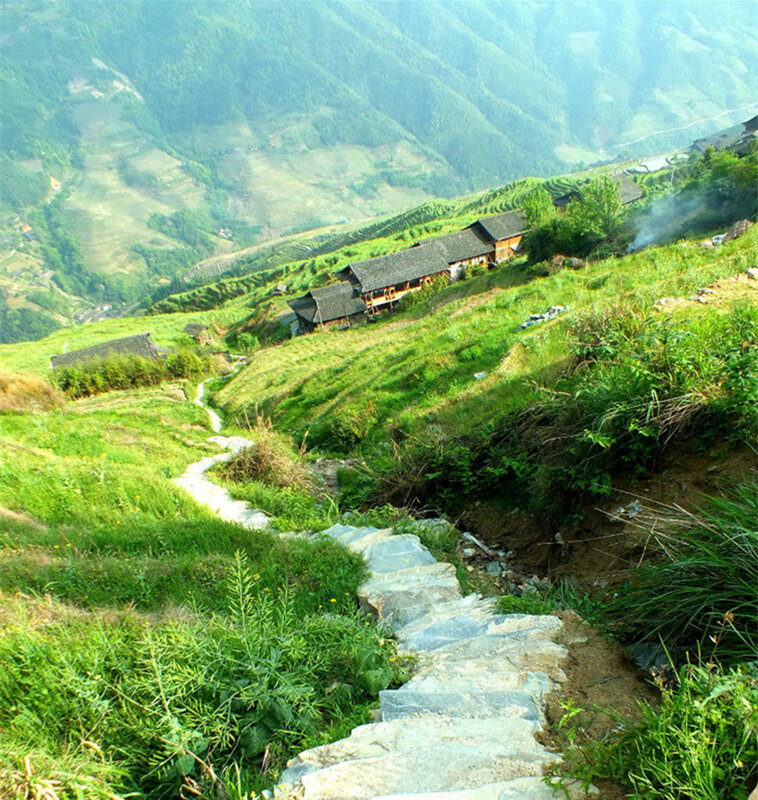 You can experience several small waterfalls bringing you cool feelings if you enjoy drifting on fine days in summer. If you enjoy drifting on rainy days, you will get the feeling that you are in a wonderland with exciting landscape around. 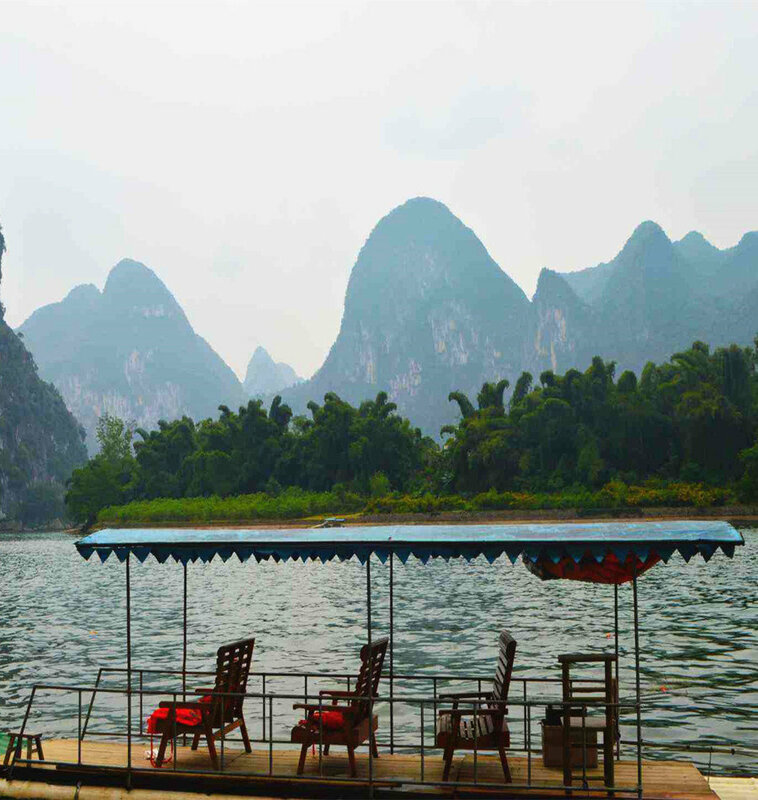 There are two sections for Yulong River rafting: Jinlong Bridge(金龙桥) – Jiuxian(旧县村) and Shui’e di(水厄底) – Wanjing Pier(万景码头). Notes: Pregnant women, children lower than 1 meter tall, persons over 70 years old, people with heart diseases and cardio-cerebrovascular diseases are not allowed to board the bamboo raft. Be sure to wear the life jacket during rafting.